Horace Campbell is Professor of African American Studies and Political Science at Syracuse University. 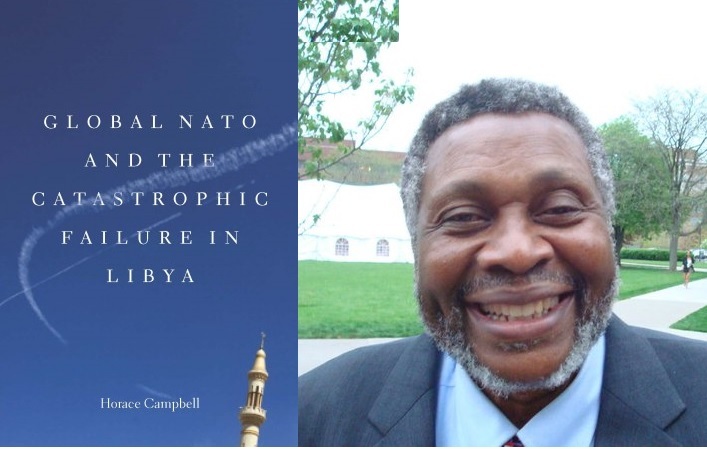 His recent book is Global NATO and the Catastrophic Failure in Libya. He is author of: Rasta and Resistance From Marcus Garvey to Walter Rodney; Reclaiming Zimbabwe: The Exhaustion of the Patriarchal Model of Liberation; Pan Africanism, Pan Africanists and African Liberation in the 21st Century; and Barack Obama and 21st Century Politics. Follow on Twitter @Horace_Campbell. Welcome to horacecampbell.net. Horace Campbell is Professor of African American Studies and Political Science at Syracuse University, New York. His recent book is Global NATO and the Catastrophic Failure in Libya. He is the author of: Rasta and Resistance From Marcus Garvey to Walter Rodney; Reclaiming Zimbabwe: The Exhaustion of the Patriarchal Model of Liberation; Pan Africanism, Pan Africanists and African Liberation in the 21st Century; and Barack Obama and 21st Century Politics. Follow on Twitter @Horace_Campbell. The celebration of Human Rights Day across the world will be meaningless without interrogating the significance of peoples’ rights in relationship to human livelihood and peaceful co-existence among humans and between humans and planet earth in the 21st century. Such interrogation should be geared towards unravelling the implications of new phenomena for our collective humanity in the 21st century. These phenomena include the Western conception of human rights based on exclusions and hierarchies, biotechnology and robotics revolution, genetic perdition and cloning, capitalist plundering of the earth, as well as the dehumanisation of human beings by neo-liberal capitalism. Following the devastating war associated with the capitalist depression of 1929-1945, an international organisation, the United Nations, was formed with a mandate to promote world peace. There were four salient objectives outlined in the UN Charter: 1) to maintain world peace and security; 2) to protect the fundamental human rights and uphold the dignity and equality of all humans; 3) to create a forum for cooperation in solving international problems and in providing respect for international law; and 4) to promote freedom, advance human progress and achieve better standards of living. Are Sarkozy and Kagame Playing Games? Coup in Albany: Is Washington Next? (C) horace campbell 2010. Watermark theme. Powered by Blogger.